In 1851 George Richard Blackwell, a Master Marble Mason traded here. 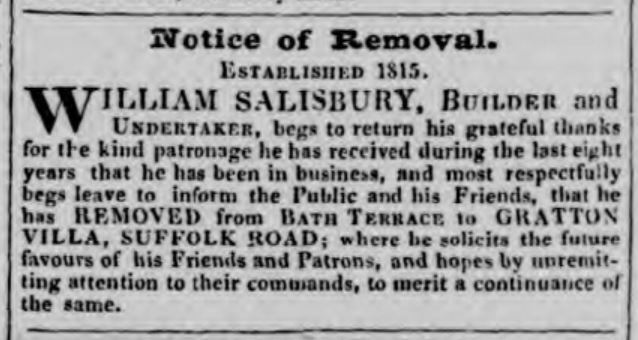 But in 1856 William Salisbury, a long-established "Builder and Undertaker" moved into the premises, which was then called Gratton Villa. In Victorian times many builders undertook burials. The business would have required horse-drawn vehicles and we can speculate that the association with transportation began at this time. 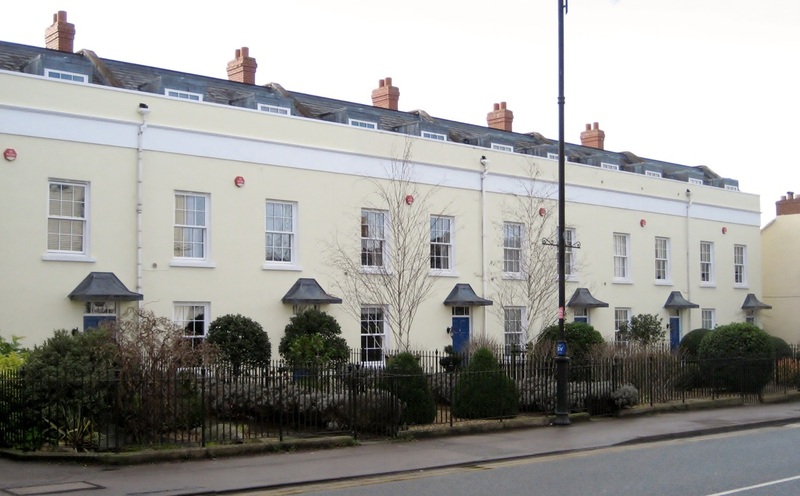 By 1881 the site, called College Mews, was occupied by Robert Fowles, a Fly proprietor, who formerly operated from Lansdown Terrace. A Fly was a horse-drawn public coach or delivery wagon, especially one let out for hire. The term also sometimes referred to a light covered vehicle, such as a single-horse pleasure carriage or a hansom cab. Robert Fowles was still here in 1891 but now as a Livery and Stable keeper. By 1900 this had changed again to a fly proprietors’ run by Thomas Taylor. In 1910 they were calling themselves "cab proprietors" and from 1917 to 1926, as Taylor & Son, they were "jobmasters" (the keepers of a livery stable). The company appears to have made a successful transition to the era of the motor car because in 1930 Mr William Thomas George Taylor was running the College Garage here, which he continued to do until his death on 19th March 1938. 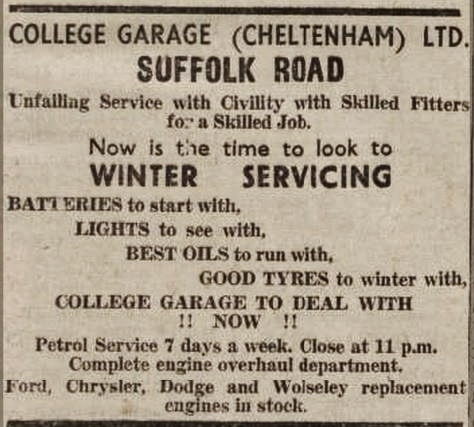 In 1949 College Garage (Cheltenham) Ltd was still here advertising their "unfailing service with civility". That same year they were offering a private car hire service. 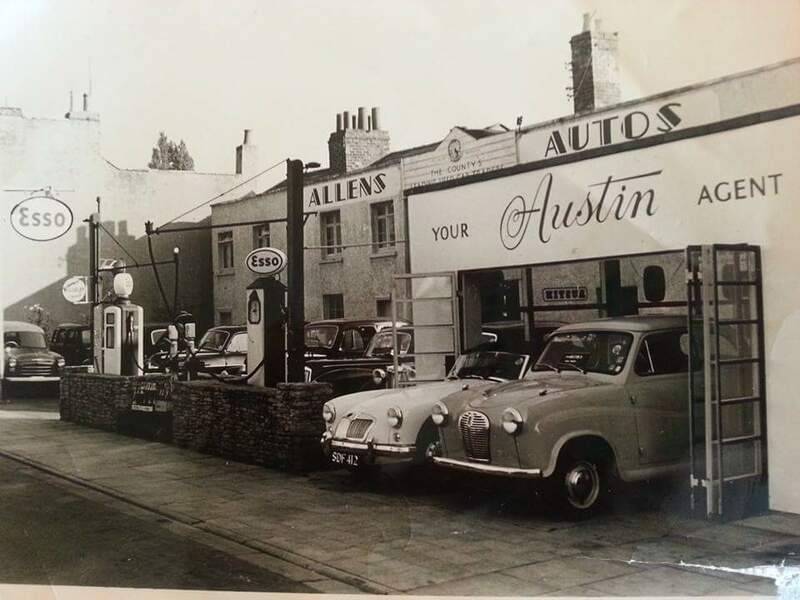 ​By 1952 Allen’s Autos, Motor Car Dealers, a specialist in second hand cars, had taken over the site and between 1957 and 1975 it was known as “Bill Allen’s Autos Ltd.” Some readers may recall the motor car placed on the roof of the garage, which prompted my curiosity as a small boy. Today the site is occupied by a smart row of modern townhouses. 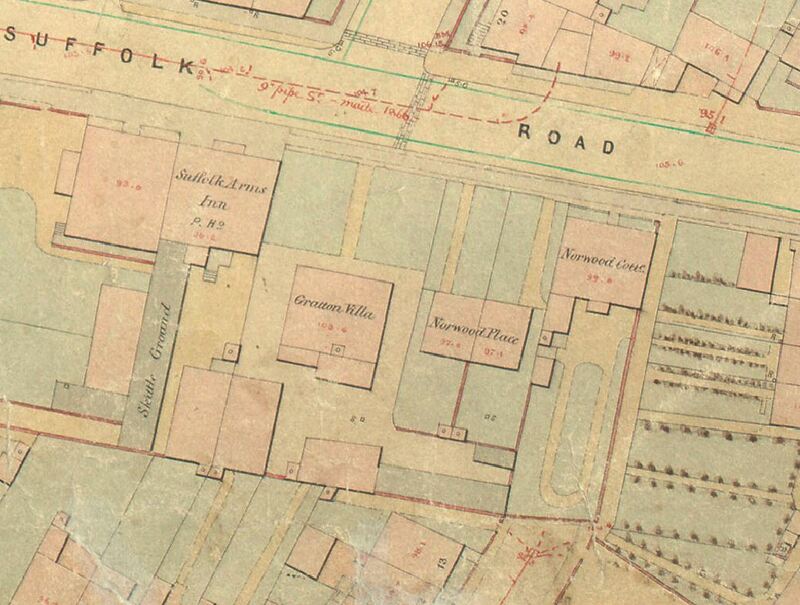 The map below shows the site as it was in the 1850s, bounded on either side by the Suffolk Arms and the surviving pedestrian alleyway.